Glass Makes Every Room Look Better! We are currently going through a phone system change. So, if you run into an issue calling us, please call us back or email us at sales@dallasbathandglass.com. 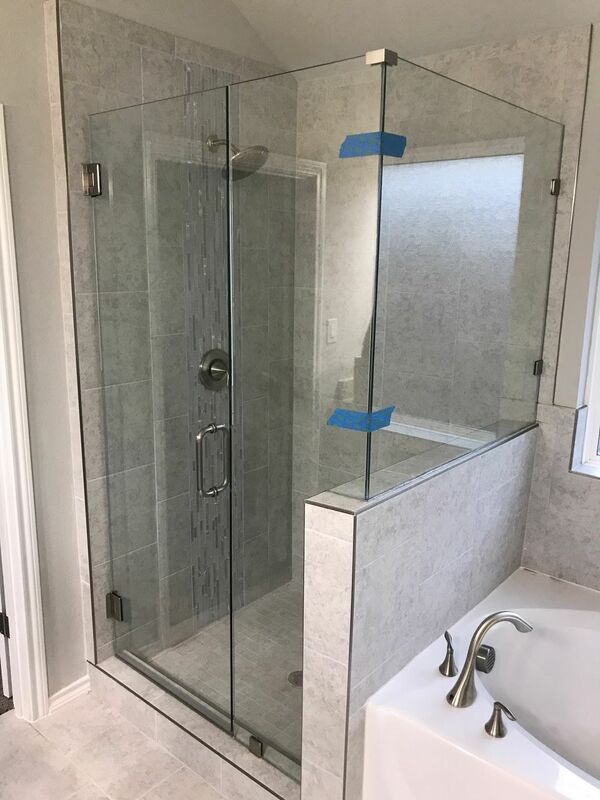 Dallas Bath and Glass specializes in frameless shower doors, frameless shower enclosures, and frameless tub enclosures. We also offer framed and semi-frameless options for doors, multi-panel enclosures, and sliding shower door units. We can even fulfill your custom glass and mirror needs. 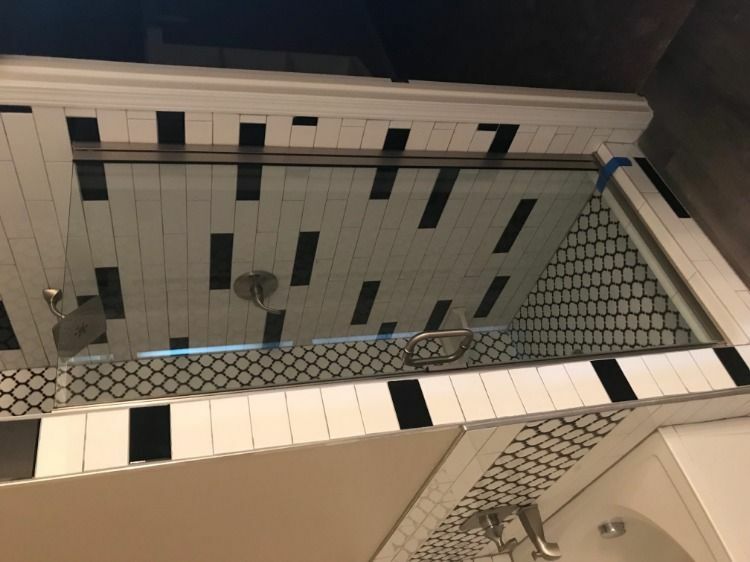 At Dallas Bath and Glass we can make your bathroom or any room elegant, beautiful and functional with our custom glass work. Your dream room is just a phone call away. At Dallas Bath and Glass we believe that quality work for a fair price is the key to satisfied, happy customers. We always lead with the very best price possible. However, if you bring us a competing bid we will beat any competitors bid by 5%. Dallas Bath & Glass, Inc, 972.524.1429 free estimates, Frameless 3/8" heavy glass specialists. 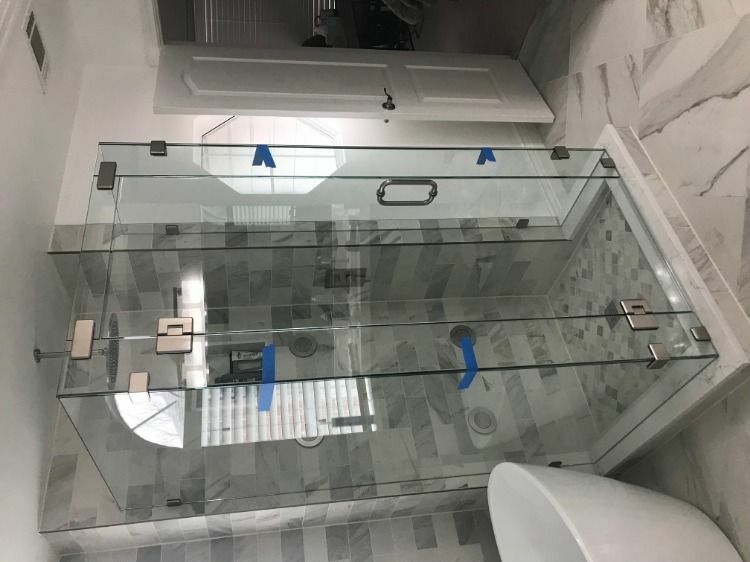 Dallas Bath and Glass, Inc Frameless 90 degree shower enclosure with 3/8" heavy clear glass and Silver Chrome hardware from CRL. Added upgrade with Nano Glass Protection. 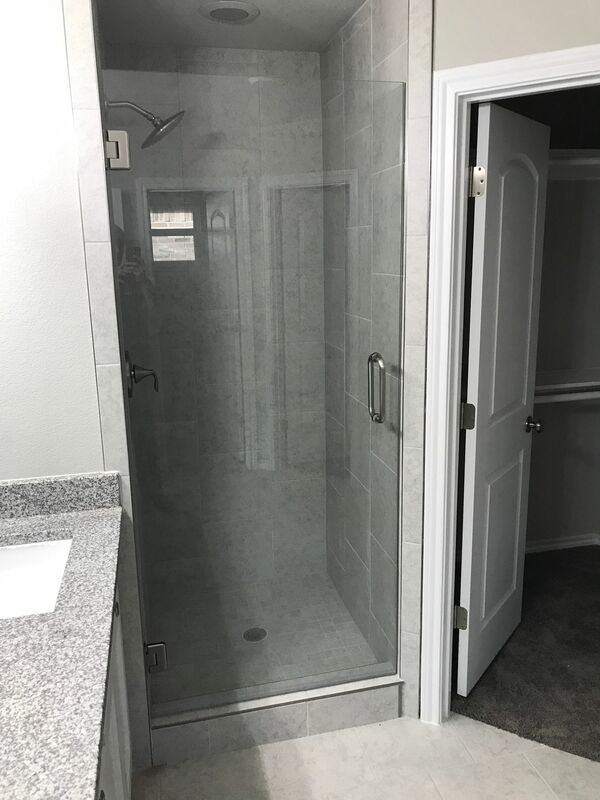 Dallas Bath and Glass, Inc. 3/8" heavy glass frameless door with Brushed Nickel hardware from CRL. Clean look with no extraneous metal. 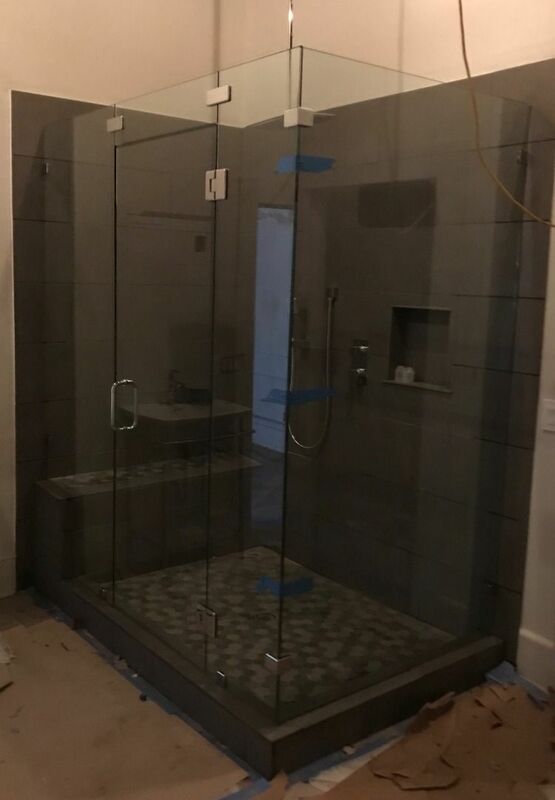 Dallas Bath and Glass, Inc Frameless 90 degree shower enclosure with 3/8" heavy glass in clear with Oil Rubbed Bronze hardware from CRL. Had a Frameless shower Glass installed. I was impressed with the person sent out to take measurement for the quote, even though it was for just a quote, he took his time taking detailed measurements and spent more than 30 min ensuring accuracy. The whole process from getting a quote to installation was Handled Professionally and everything was to our expectation. Wonderful customer service with prompt and professional installation. I am one very happy customer! Thank you, Dallas Bath and Glass! These guys do a great job. The made the shower project easy and I felt taken care of. Will be back! 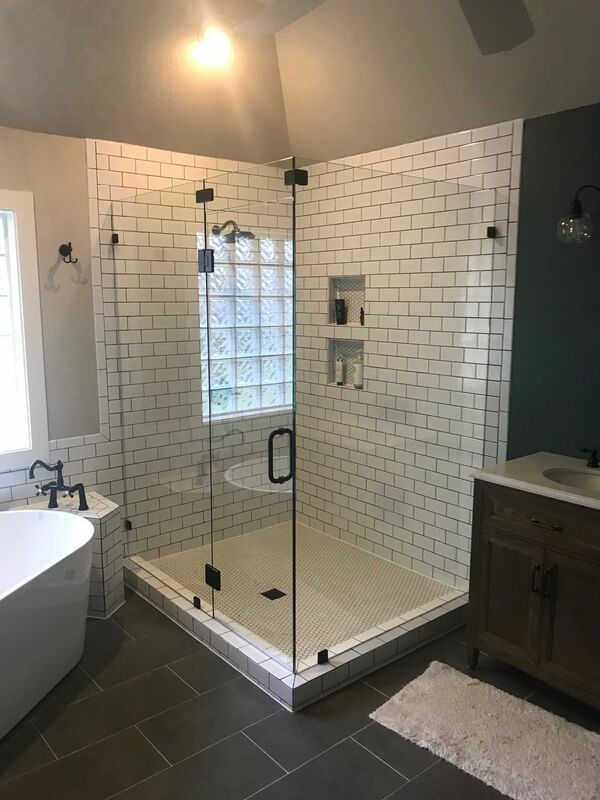 Had two frameless showers completed in February 2019 and I absolutely love them. Great job. Very professional. They were great! Someone always answers the phone. The two workers came early ahead of schedule which worked well for me. The work was done flawlessly and looked great upon completion. I was thoroughly satisfied with the company and their work. I'd recommend them for bath and glass work! !